Friday Music is very pleased to announce the release of the Grateful Dead's Dead Set on limited edition 180g double vinyl. 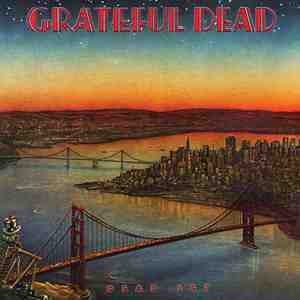 The Grateful Dead’s Jerry Garcia, Bob Weir, Phil Lesh, Brent Mydland, Mickey Hart and Bill Kreutzmann truly radiate with some of their finest playing and singing here, making this a wonderful listen and collectible album for years to come. Many fan favorites and rarities abound in this lengthy set including the opening Bob Weir workout, "Samson and Delilah," a stunning rendition of "Deal" by the late great Jerry Garcia, Phil Lesh’s classic "Passenger," plus the long awaited vinyl only version of "Space." The set also showcases the masterful jams the band is renown for on cuts like "Candyman," "Fire On The Mountain" and "Feel Like A Stranger" among others. Mastered for vinyl by Joe Reagoso at Friday Music Studios and at Capitol Records, Hollywood, CA, this limited edition vinyl version of Dead Set also features the rare gatefold cover art and is truly a welcome addition to your Dead collection!